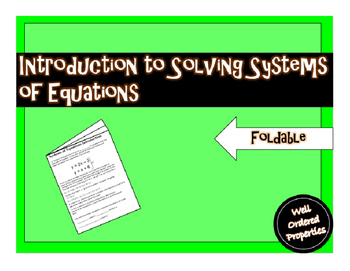 This foldable is perfect for transitioning from linear equations to systems of equations. 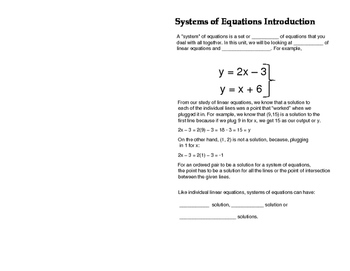 The front page defines systems of equations with an example of a system. It also discusses the types of solutions (one, none and infinitely many). 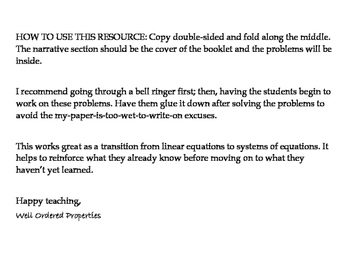 Inside the booklet, there are thirteen problems; each has a point and a system of equations. 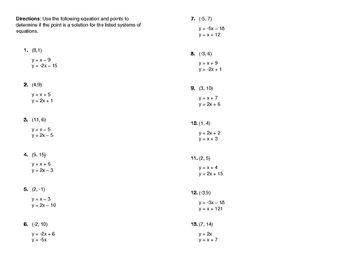 Students are to plug in the given points and determine if the point is a solution to the system.